'What a strike from Mike Sheron - what a thronker!' screamed Dan Walker, now the host of Football Focus. And with that description of the kind of ferociously struck shot that would knock over a pig if it caught it full in the face, the cult of the Thronker - and eventually this book - was born. Glorifying everything that is weird and wonderful about the beautiful game, Dan Walker's Football Thronkersauruscontains hilarious stories and facts that will answer almost any football question you could possibly think of, from which outfield player went 20 years without scoring a goal, to which player had to watch Willy Wonka and the Chocolate Factorybefore every game? The Thronkersaurushas these, and plenty more, covered. Laced with a load of Dan's daft stories from inside the world of broadcasting and his football-crazy childhood, the Thronkersaurusis the ultimate celebration of football, its ridiculous characters and its incredible history. Dan Walker is the presenter of BBC1's long-running Saturday lunchtime show Football Focus, and also anchors BBC Breakfast. 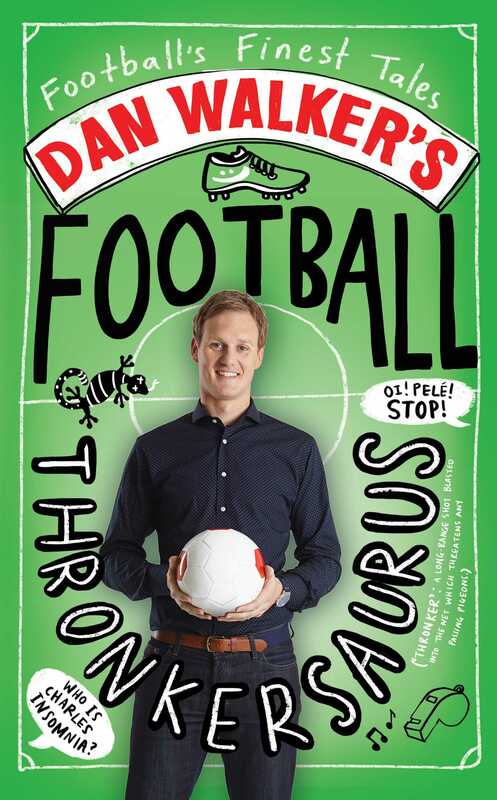 His first book, Dan Walker's Football Thronkersaurus, was a nationwide hit and sold out in Sheffield, but that was only because his wife, with whom he has three beautiful children, bought every copy in the city.